After trailblazing around the globe numerous times with Gang Starr as a core member of the Gang Starr Foundation, Big Shug, who has appeared on Gang Starr's classics such as 1994's Hard To Earn "F.A.L.A.," 1998's Moment Of Truth "The Militia" and 2003's Gold-certified The Ownerz "Capture" (Militia Pt.3), follow's up his 2007 sophomore LP, Streetchamp, with his latest street savvy endeavor Otherside Of The Game. Staying true to the Gang Starr Foundation formula, Big Shug recreates his indelible bond with DJ Premier on Otherside Of The Game, as DJ Premier chips in with four tracks, including the street-bangers "My Boston" feat. Termanology and Singapore Kane and "Like A Muhfucka." Shug also recreates his chemistry with MoSS (AZ, Joell Ortiz, Sean Price, Ghostface, Joe Budden) on five tracks including the standout "Murdapan." 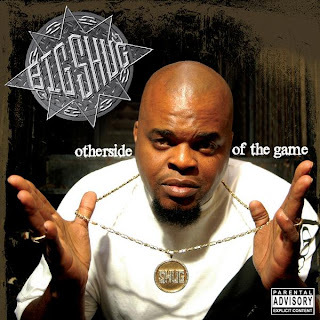 Otherside Of The Game also features guest appearances from Billy Danze of M.O.P., Termanology, Bumpy Knuckles (AKA Freddie Foxxx), Blaq Poet and Singapore Kane.